If you are an Apple fan and still using an old iPhone model like iPhone 5, then you are probably starting to feel the effects of aging. Which is commonly manifested by significantly reduced battery life and slow response time. 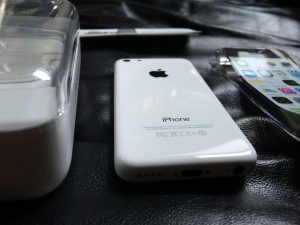 If you are not yet ready for the expensive upgrade, you can either compromise and use a battery case or try the Do It Yourself repair option. This DIY repair option is where you will use a compatible iPhone battery replacement kit to replace your phone’s aging and depleting the battery. The DIY option for replacing your iPhone’s battery is probably the most convenient and absolutely the cheapest way giving your old device a new life. Battery replacement kits will provide you all the things that you need and complete instruction on how to remove the battery from iPhone 5. They also include all the tools, components and the compatible battery model for your device. Providing you with everything you need to replace your iPhone 5 battery successfully. This guide will also walk through the process of using an iPhone 5 battery replacement kit. Taking you to every step and assist you from the beginning to end. To successfully replace your iPhone 5’s battery, you will need to have all the necessary tools and parts that will allow you carry out all the steps without any hiccups. You can order or purchase each of these components separately or purchase an entire battery replacement kit. A replacement kit will provide you with all the tools, parts and battery replacement that you need for the entire repair process. iPhone 5 battery replacement kits are priced between $10 – $30 and they are available on your local phone repair shops. Making this DIY repair or battery replacement option very convenient and affordable. However, this method requires a lot of effort, patience, and attention to achieve your ultimate goal. To guide you through the entire process, here are the steps involved in the process of replacing an iPhone 5 battery. As a standard step in any repair process, the first step is turn off the device (iPhone 5) using the “slide to power off” option. This will completely shut off the device and get it ready for the long and meticulous process. Once your device is completely shut off, you can now proceed to the process of removing front screen assembly. This is a preliminary process that is essential to allow you to work on the device without worrying about the front end of the device. ● To start the process of removing the front display assembly of the device. Take the 5-Star security screwdriver included in the kit and unscrew the two tiny screws in the bottom of the device. The screws located on both sides of the charging dock. ● After removing those screws, take the kit’s suction cup and place it just above the home button of your iPhone. Your purpose for this step is to release the bottom part of the device. You have to pry up the front display part of the device gently but be careful not to pull the entire screen off. ● Once the screen is partially disconnected, and you can lift it up. Swing the front screen assembly to allow you to reach the shield that holds and protects all the cables. Then take your Phillips screwdriver (#000) and unscrew the shield from its place then set it aside to be returned later. ● Now that the shield is removed, you can now take the spudger tool included in the replacement kit and use it to pry up the cables that connect the display assembly with the board of the iPhone. ● Set the phone’s display assembly or screen aside because you will have to reinstall the whole thing after the battery replacement process is done. This way you can work on the bottom part of the device freely. Getting access to the bottom part of the device by detaching the front screen assembly or display of iPhone 5 will give you enough clearance while working on the battery replacement procedure. ● To conduct the procedure, take the #000 Phillips screwdriver of the kit and use it to unscrew and remove the protective shield that covers the battery connectors. ● Make use of the spudger tool again to gently pry off the connector from the main board of the device. ● Now, for the most sensitive and crucial part of the entire process which is removing the battery. Keep in mind that puncturing the battery itself may trigger it to explode and damaging the board during the process will lead to failure. Take the opening tool of the replacement kit then use it to gently remove the battery. Do this with extreme caution to avoid puncturing holes in the battery or damaging the board. 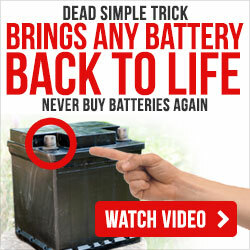 ● Once you detached part of the battery from its place, slowly pry the whole thing up until you can get a grip on it. Allowing you to completely remove it from its battery tray. After removing the old battery on your aging device (iPhone 5), you can now take the replacement battery included in the kit to replace it. Reconnect the battery cables of the device with the new power cell. Then reinstall the shield using the #000 screwdriver. At this point, your iPhone already has a new battery and technically speaking it is good as new because of the replacement power cell that you just installed. To complete the entire process, the only thing that you have to do is to reassemble your device. Since you are already familiar with all the connections within the device, reinstalling every part you removed will be easier at this point. The main and vital procedure in this part of the entire process is to properly reinstall the front screen or display assembly of the phone. This is the right time to summon your inner focus to make sure that everything is in place. Otherwise, your device will not function the way it used to be. Make sure that carefully execute every step when you are in this final stretch. Using an iPhone 5 battery replacement kit to aid you on how to remove the battery from iPhone 5 and replace it with a brand new one can be the best option. If you are in a situation that getting an upgrade can be too expensive and using battery packs is not that good for you. However, this will require you to invest some time, a lot of effort, a great deal of patience and exceptional attention to details to be successful. This guide will help you in this endeavor and provide you a detailed walkthrough from the start of the process until successfully completing every step. You can also check the related article on iPhone 5 battery lifespan from here!